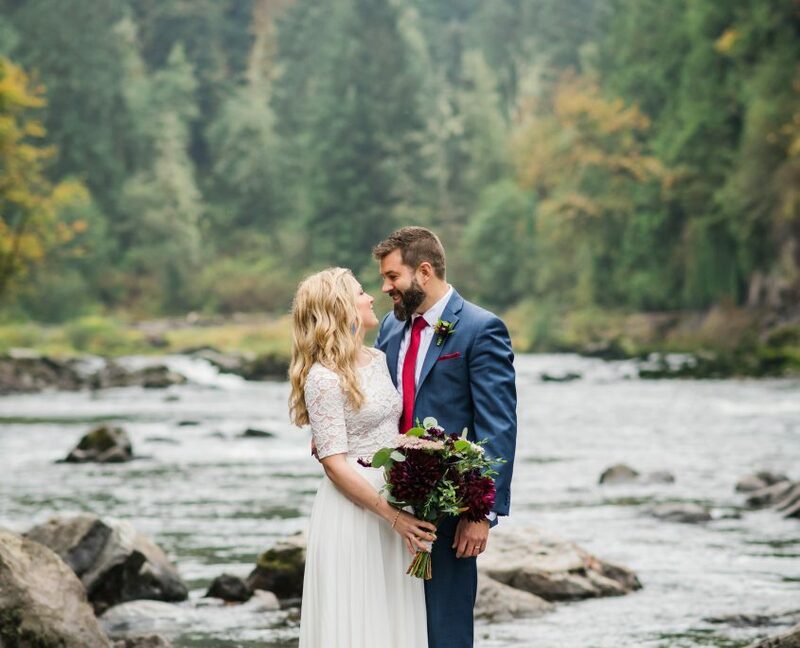 Whether you live in Seattle or are traveling from out of state or out of the country, I can help you plan the perfect elopement! Contact me today for all the details. 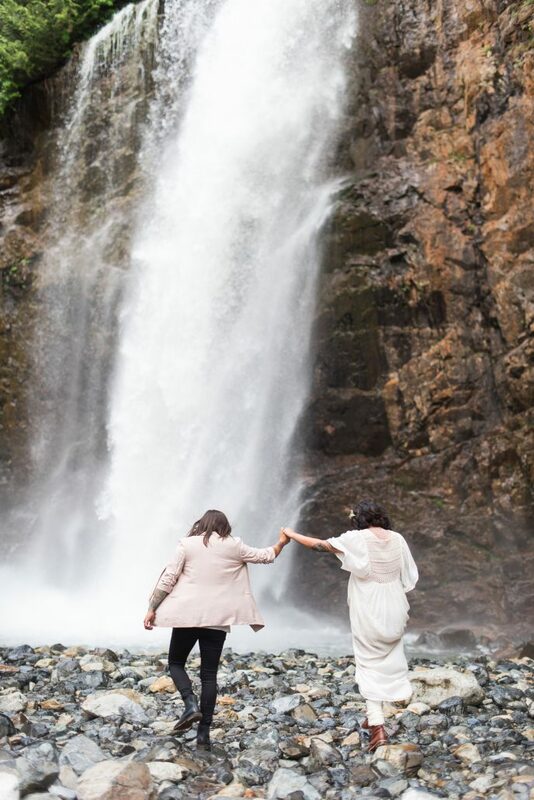 In our initial consultation we decided on a mid-week early morning elopement with Franklin Falls as our destination. The trail is beautiful and well groomed with tall evergreen trees on every side. 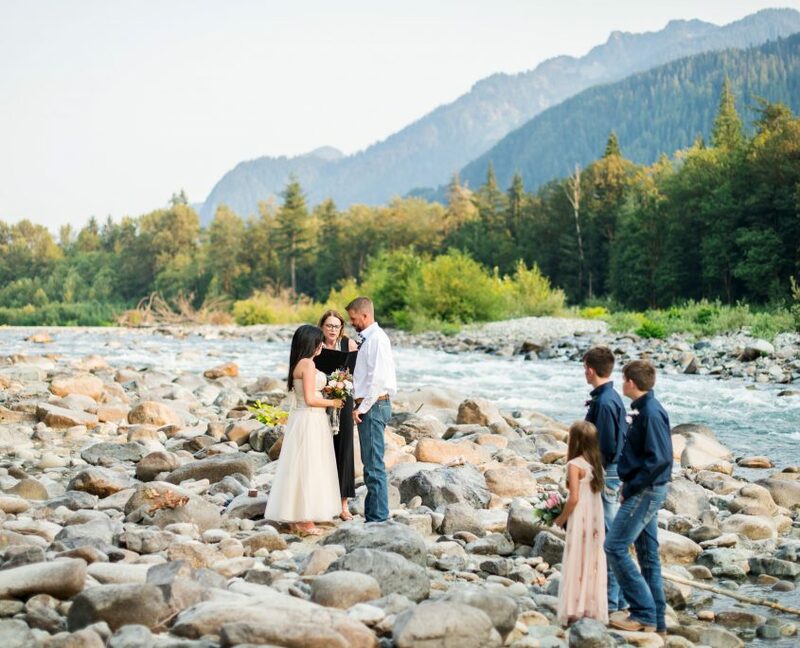 The Snoqualmie River runs parallel to the trail and creates a soothing sound of rushing water below. It is a fairly short hike and very enjoyable. 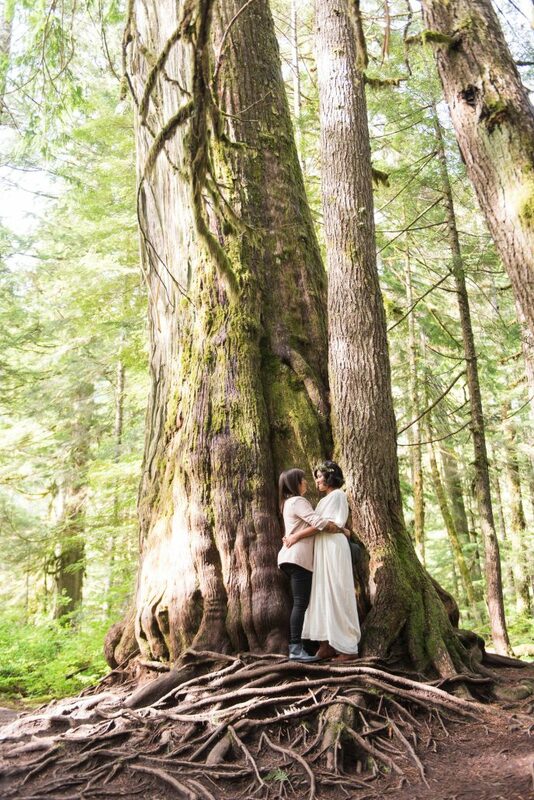 On the day of the wedding, we all met in North Bend, which is a short drive from the trail head to the falls. We drove up in a caravan with their photographer, Jeanne Phinney Photography and me in one car and the couple in the other. They brought along their hair and make-up artist, Shannon Mercil, as an additional witness and to do touch-ups along the way. 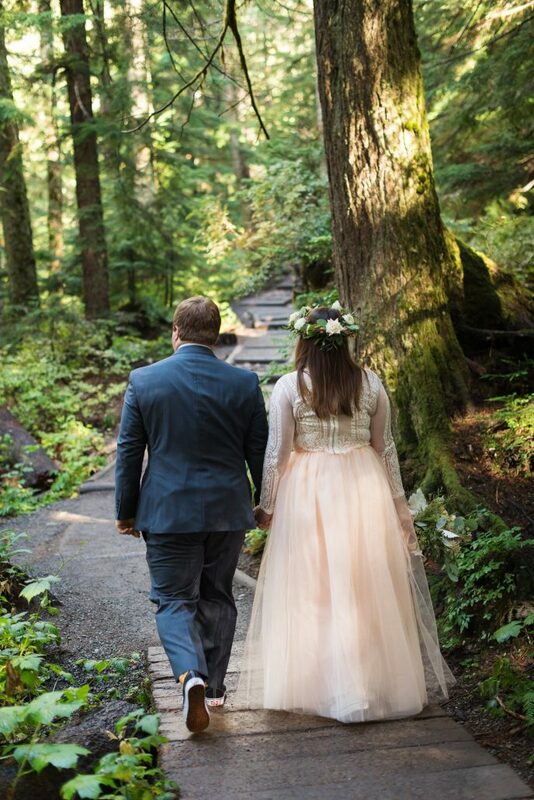 Bianca and Tony both brought wedding clothes to change in and hiked up the trail looking lovely. 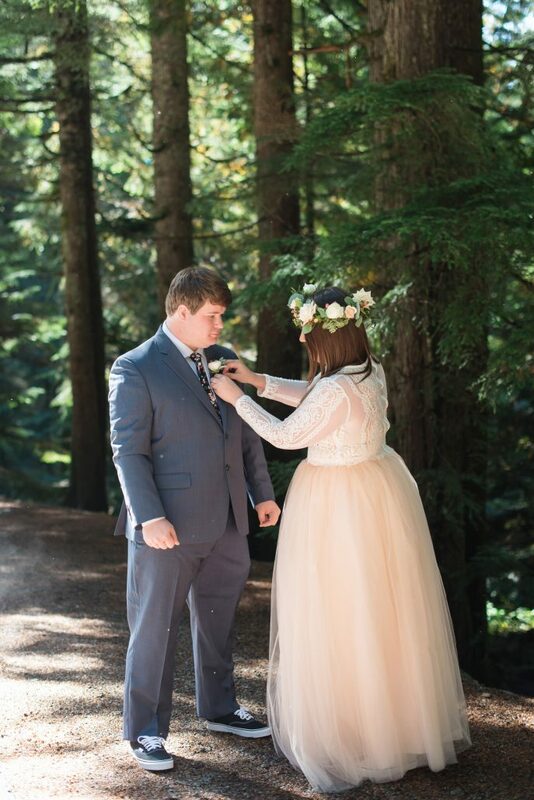 Bianca also had a flower crown made along with a gorgeous bouquet from Woodinville Florist. It was a pleasant surprise to arrive at the falls and see that we were practically by ourselves. This location can get uncomfortably busy in the summer. Even though it’s less crowded in the fall, weekdays are still best if you want to have the falls to yourself. 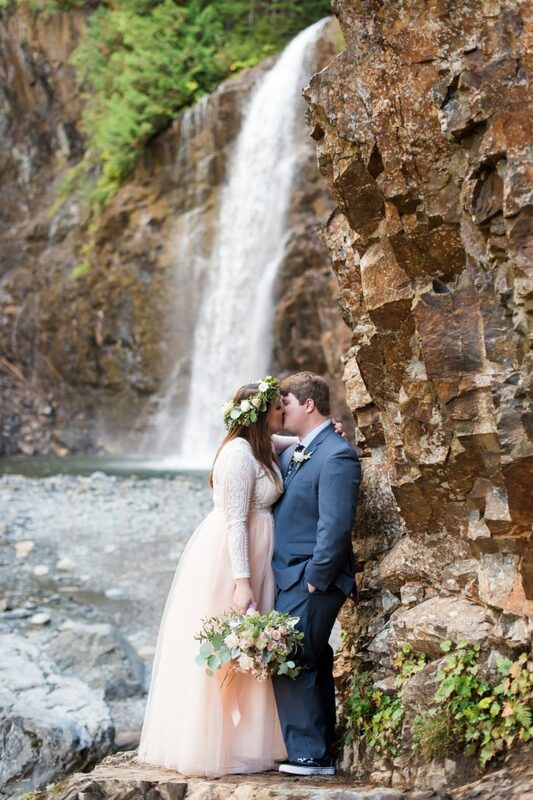 We began with some fun pictures in front of the falls and then had their sweet ceremony. They shared a few tears but mostly they were both smiling from ear to ear. Jeanne took some more pictures and then we hiked out. When we arrived at our cars, Bianca and Tony produced a cake they had brought with them. Jeanne took some fun pictures of them eating cake and having a little toast. 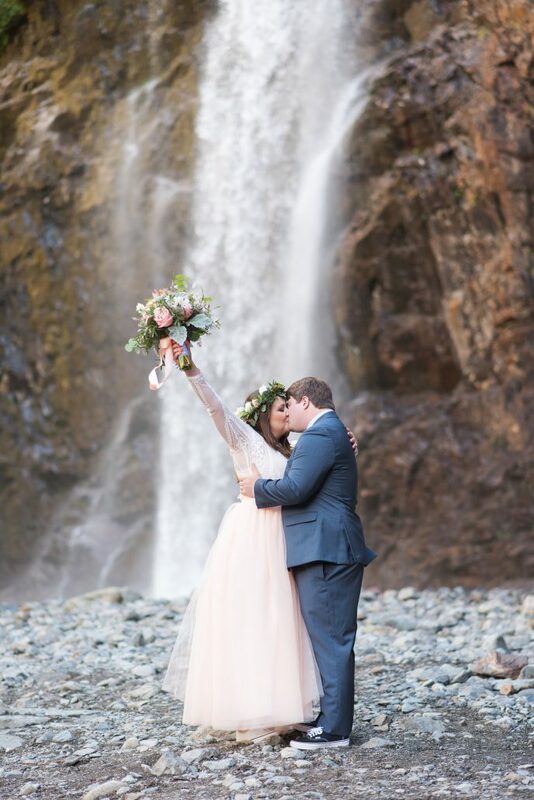 Below are some great photos of Bianca and Tony’s waterfall elopement. Enjoy! 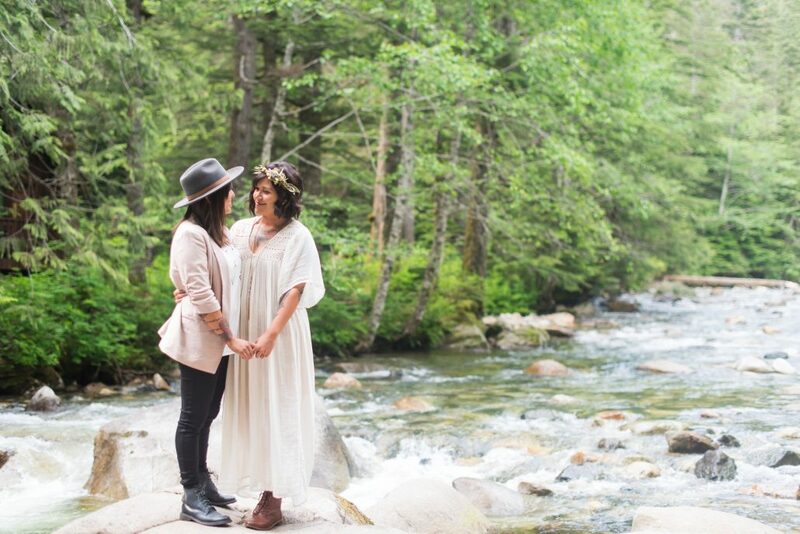 Elopement Concierge was loosely developed in 2012 when Washington passed Ref 74 for same gender marriage. 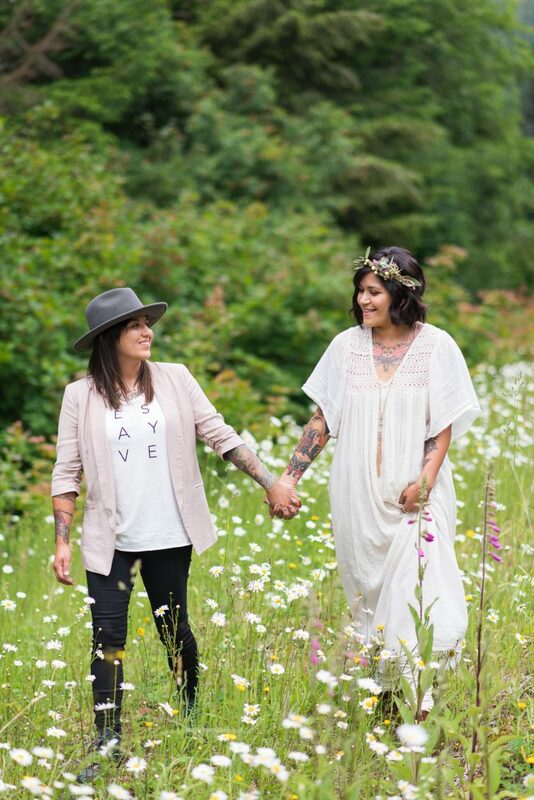 The Seattle wedding industry experienced a huge increase in weddings that year with dozens and dozens of couples traveling to Seattle, WA to enjoy marriage equality. 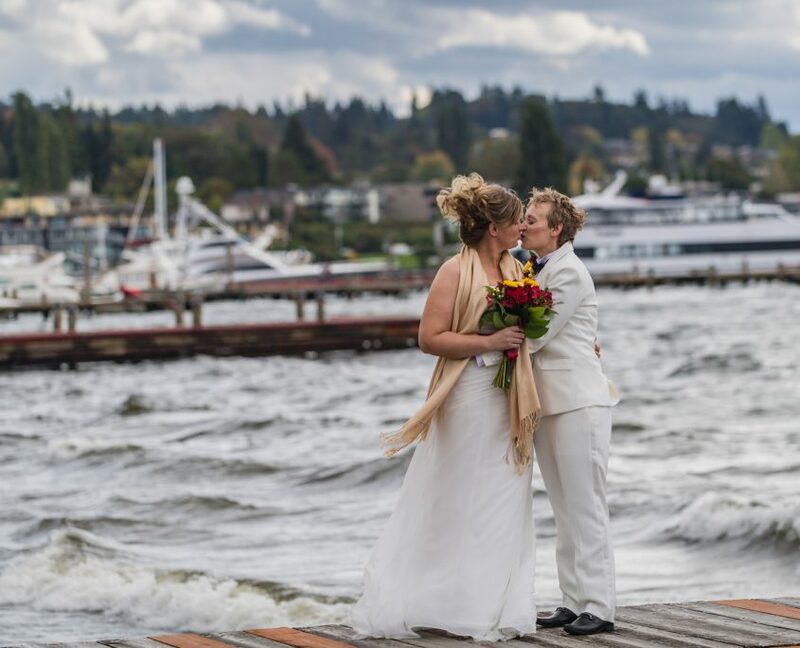 Many of my couples didn’t know a thing about Seattle. 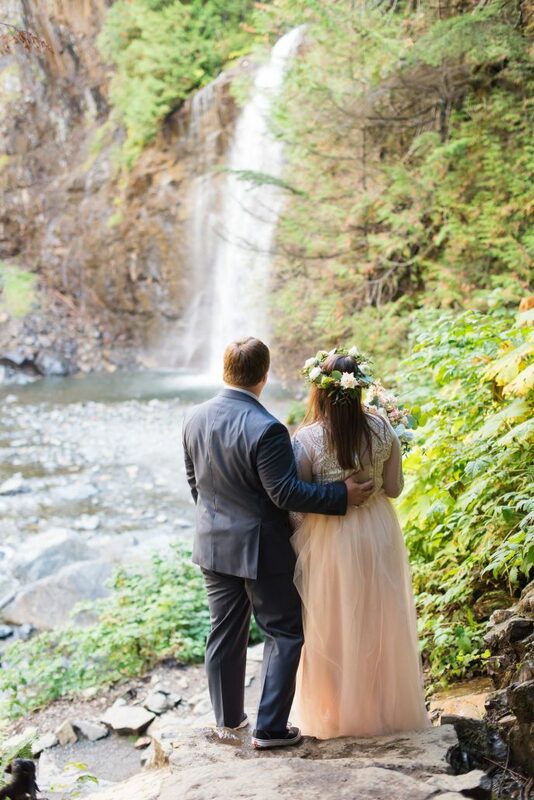 As a native of Seattle, I was able to share epic location ideas for the ceremony. 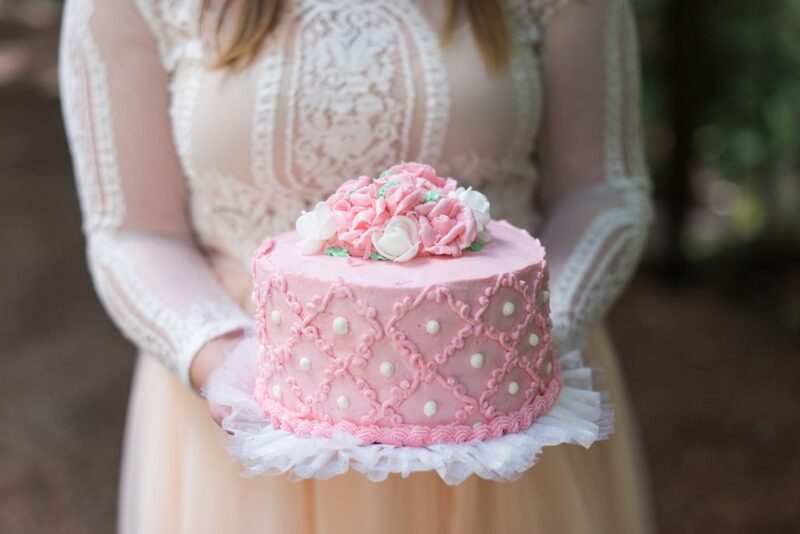 In addition, couples made special requests for flowers, cake, champagne, hair/make-up, and photography. 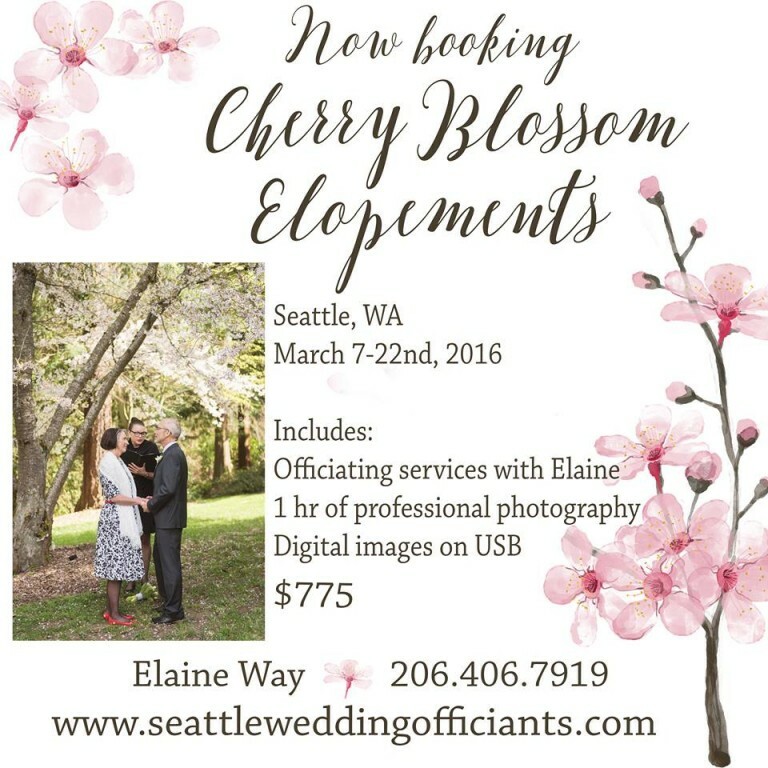 Even though Elopement Concierge casually began in 2012, it has grown into something that I am deeply passionate about and proud of. I love helping couples experience the glamor and excitement of a large wedding but with a small wedding cost. We will begin with the location or venue and add services provided by a hand-picked team of vendors. 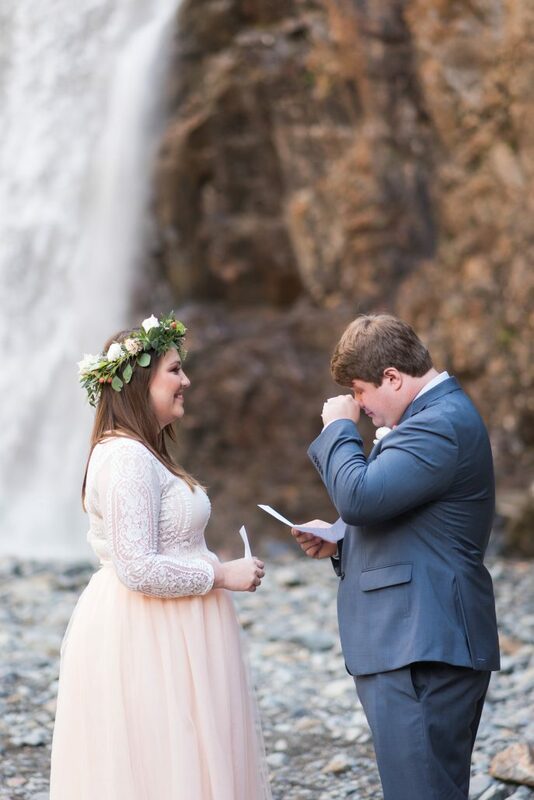 I will, of course, craft a ceremony you will love and remember. I can help you with all of this and I’ll even advise you on how to get your marriage license. I am a licensed notary and can take care of that part too! 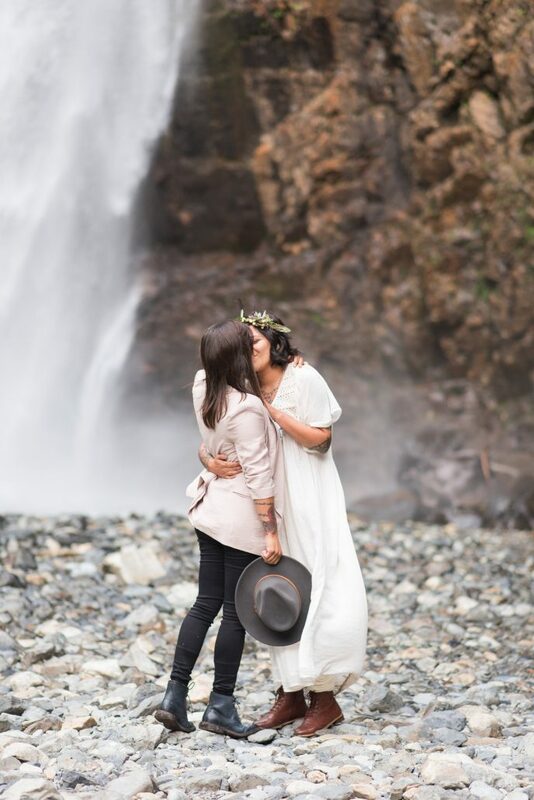 (Visit this page: Washington State Marriage License to find out more). Please enjoy a few of the locations I have suggested for my couples. If you are coming to Seattle or you already live here, I would love to hear from you. 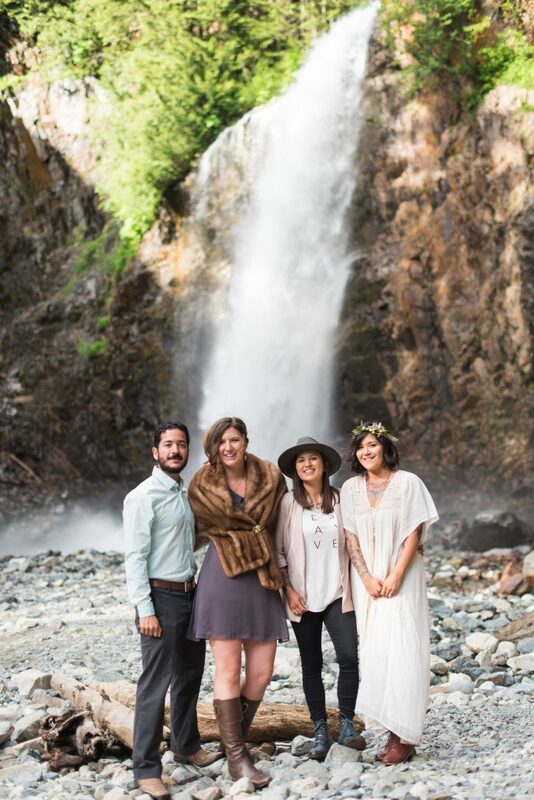 Elopement Concierge is here to help with all your elopement or small wedding needs. 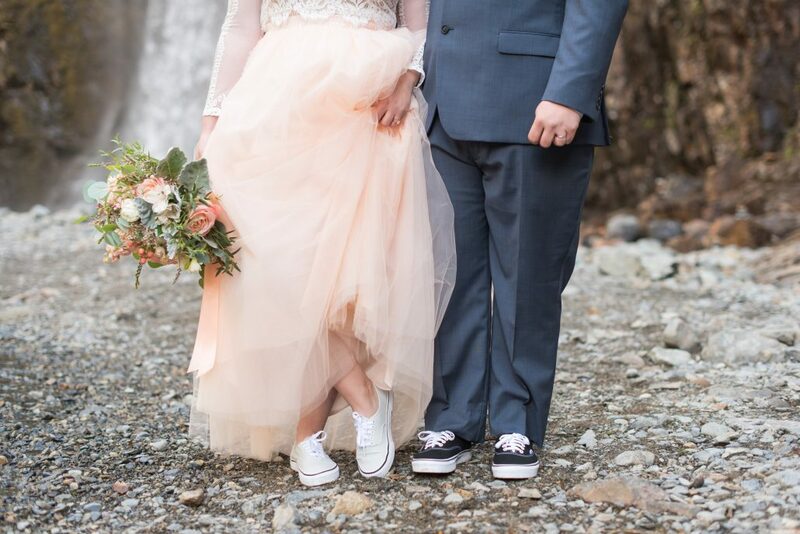 Be sure to check out my Small, Elope or Last Minute Wedding page for more information! 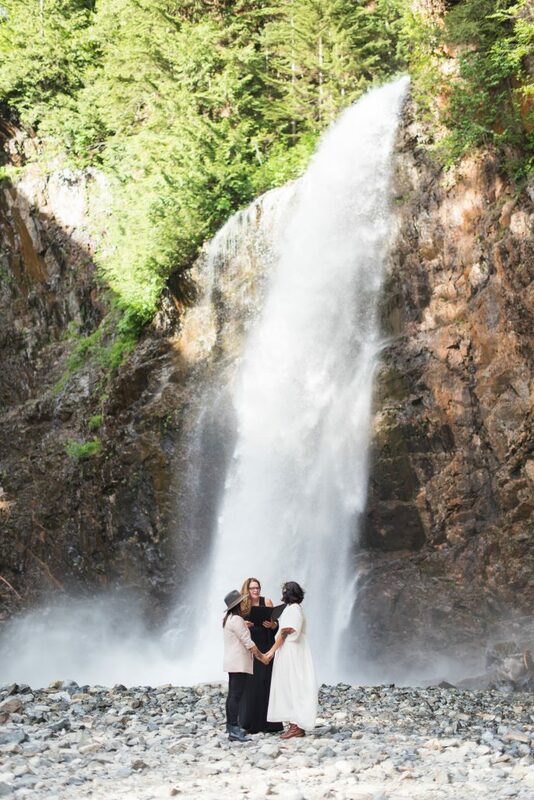 Vanessa & Roxanne contacted me in May to discuss having an “epic falls wedding” at Snoqualmie Falls. 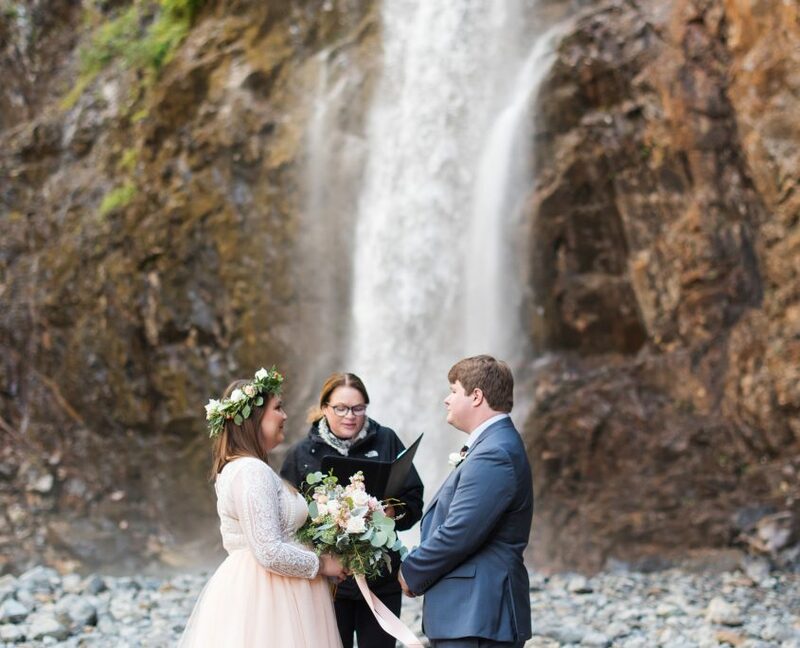 In other words, they wanted to be right down in front of the falls to exchange their vows. What they didn’t know is that it isn’t that easy to get down to the base of the falls any longer. You can do it but only if everyone is a gymnast, including the photographer, and you have some sort of utility ladder. 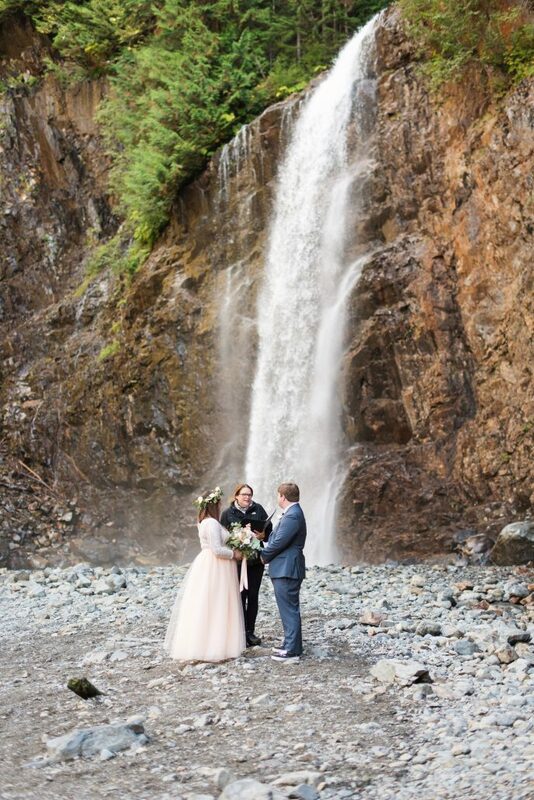 So instead, I recommended Franklin Falls around the same area for their June elopement. 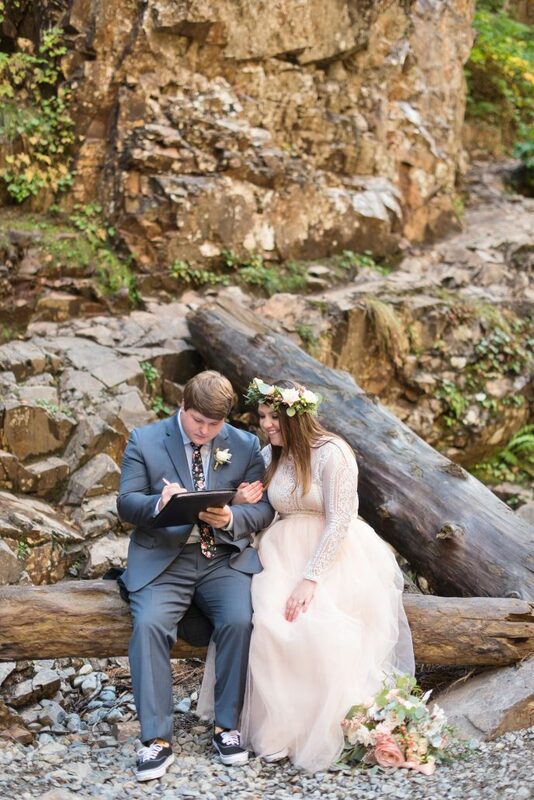 They liked the pictures I shared with them and we began to plan their Franklin Falls elopement. 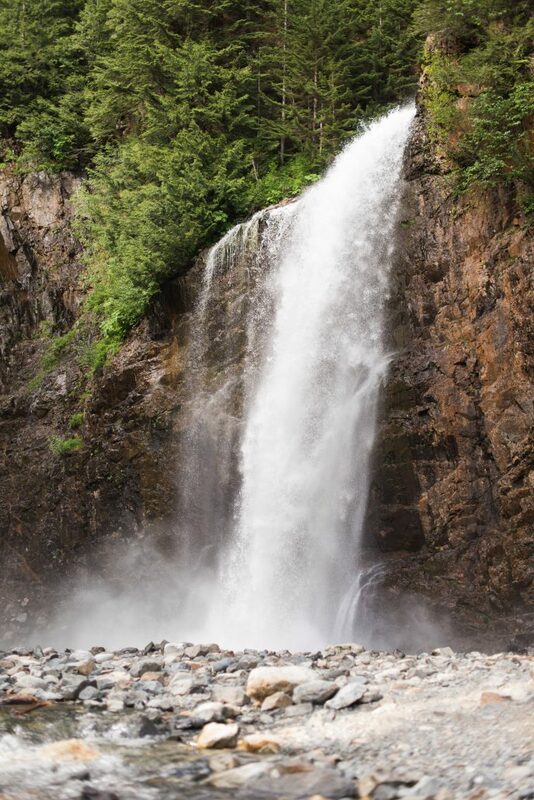 Franklin Falls is about a 90 minute drive from Seattle and then there is a little hike into the falls. We decided to meet halfway and then caravan to the trail head. 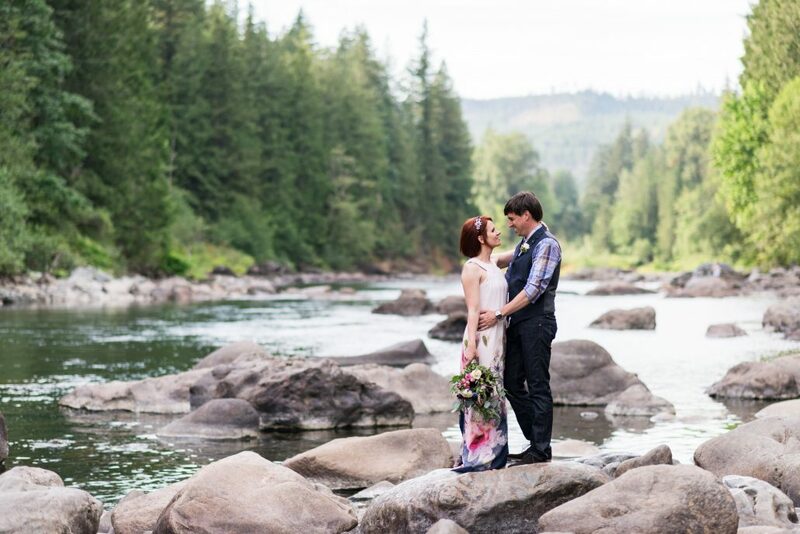 Once we got out of the city and close to our destination we discovered some great photo opportunities and took time to stop and capture some beautiful shots of the couple. We arrived at Franklin Falls and set out on the trail. It was so beautiful with Northwest evergreens all around us. The trail is very well maintained and there is a river running below all along the trail. What an incredible little hike. 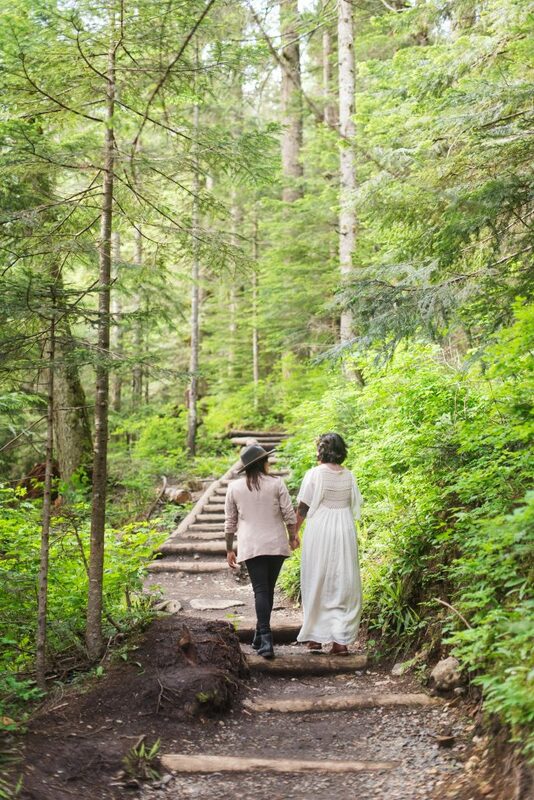 We stopped along the trail to get more photos of Vanessa and Roxanne, and their excitement grew every step of the way. We arrived to the falls and there was only one other couple there. So we basically had the falls to ourselves. 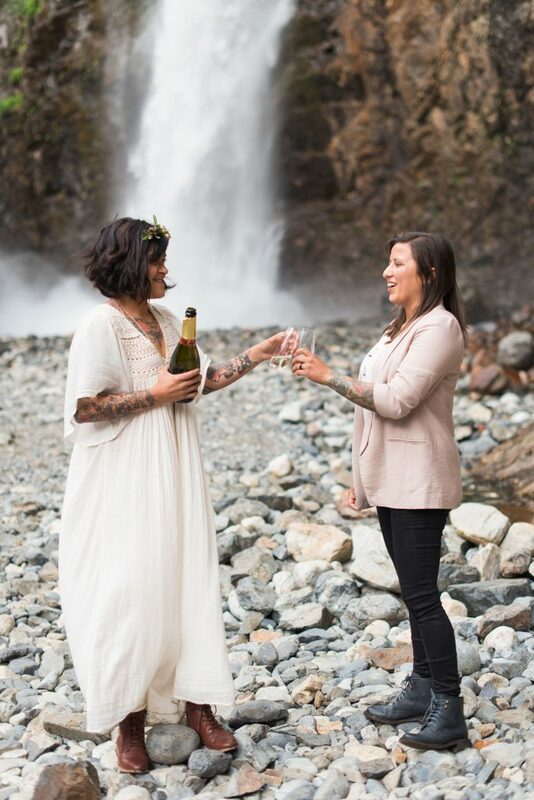 The ceremony was lovely and afterwards Vanessa and Roxanne popped a bottle of champagne that they had hiked in with to celebrate with their friends. 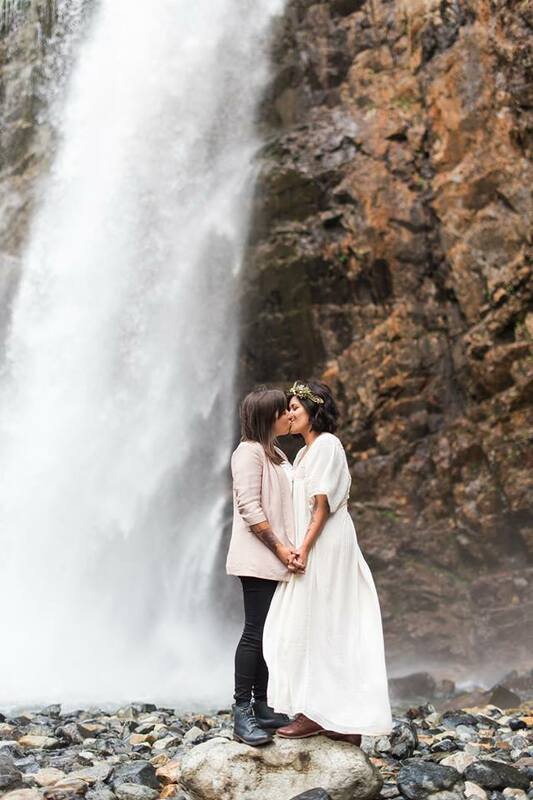 All in all I would highly recommend this little day trip for your Franklin Falls Elopement. It’s well worth it and not far from Seattle. 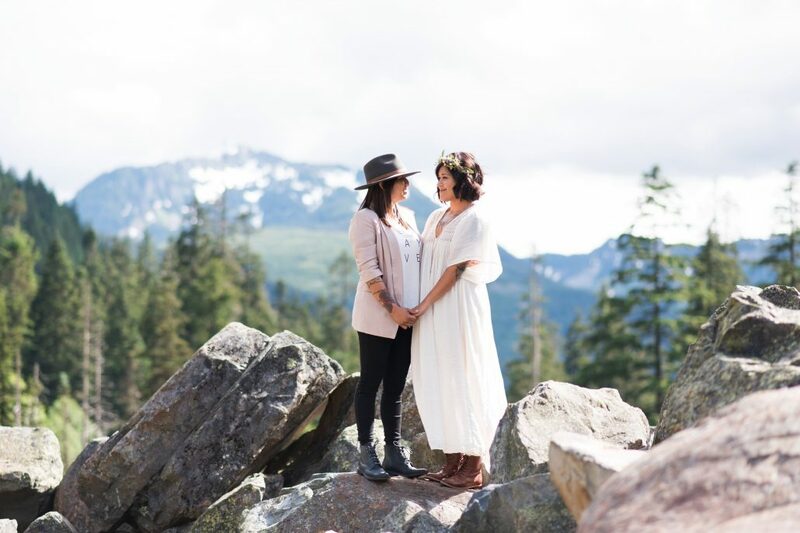 I hope you enjoy the fabulous photographs that Jeanne Phinney Photography captured for Vanessa and Roxanne! Last Minute Wedding? I can do it! The couples I marry contact me with all different lead times for their wedding. 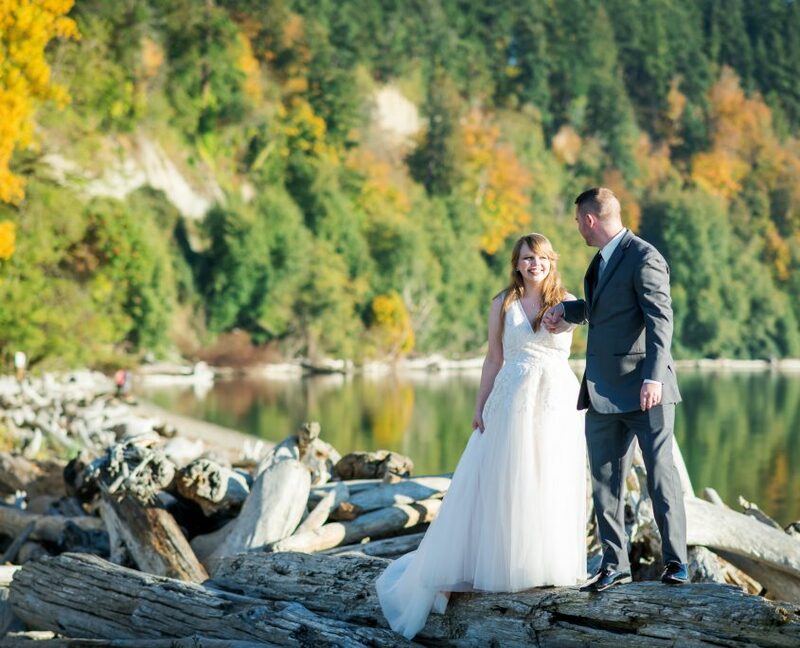 Sometimes I get the inquiry for my services months in advance — in fact I have already booked a wedding for 2013! And other times I get a phone call from a couple who exclaims, “We want to get married as soon as possible”. I will then ask, “how soon?”. And they may answer tomorrow or next week or even next month. That is what I often refer to as a “last minute wedding”. 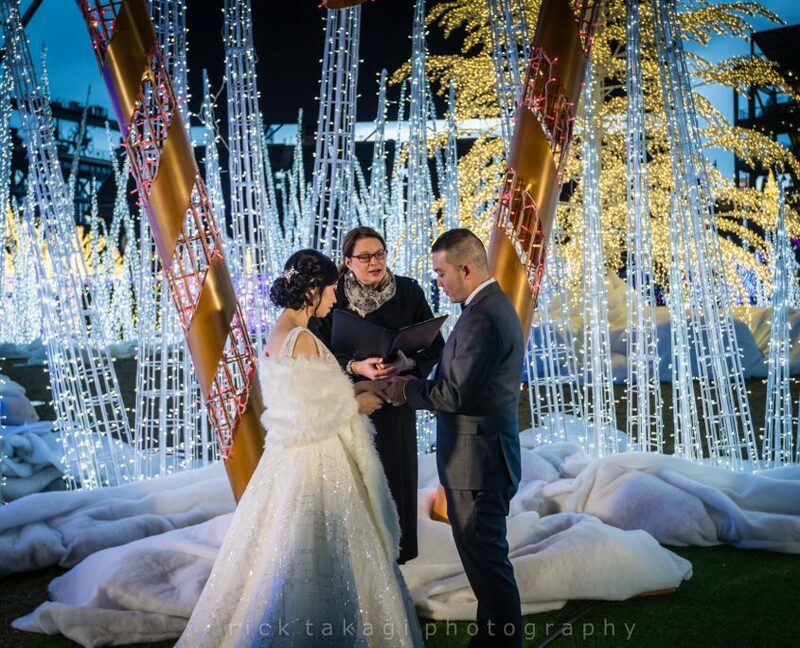 You pulled everything together at the last minute but you forgot to hire an officiant! Whatever your situation, I can help! 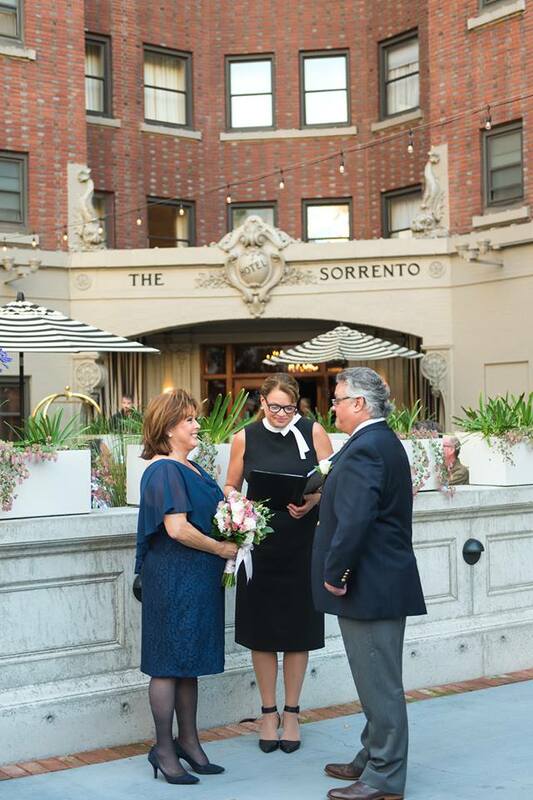 Recently, I officiated a beautiful wedding for a small group of 20 at the Palisades Restaurant’s Magnolia room. 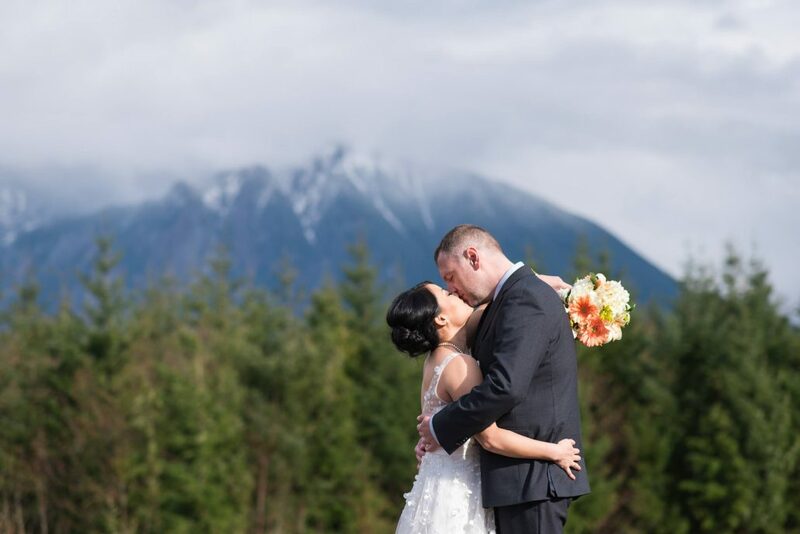 My couple called me a month in advance for what turned out to be a beautifully orchestrated day – with only a month’s planning. 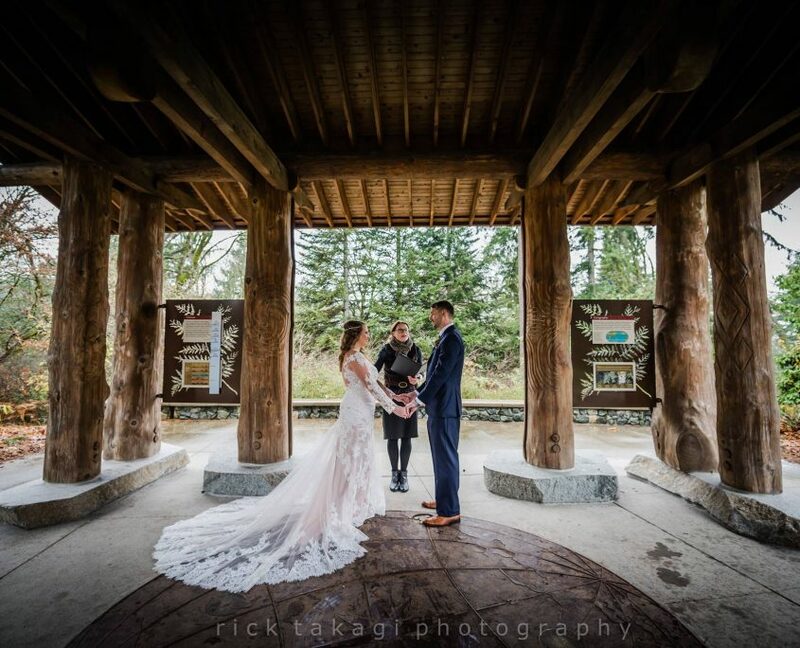 This weekend I also had the pleasure of officiating a last minute wedding at Gasworks Park. What an amazing day it was on top of the hill overlooking Lake Union. The couple even brought their pooch, Bennett! 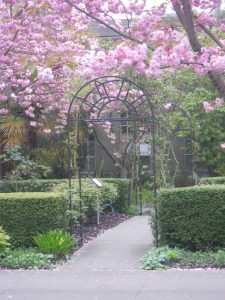 And don’t forget to check out all the hundreds of Seattle parks: http://www.seattle.gov/parks/. Each park has it’s own rules and regulations so you will want to make sure to read the fine print. 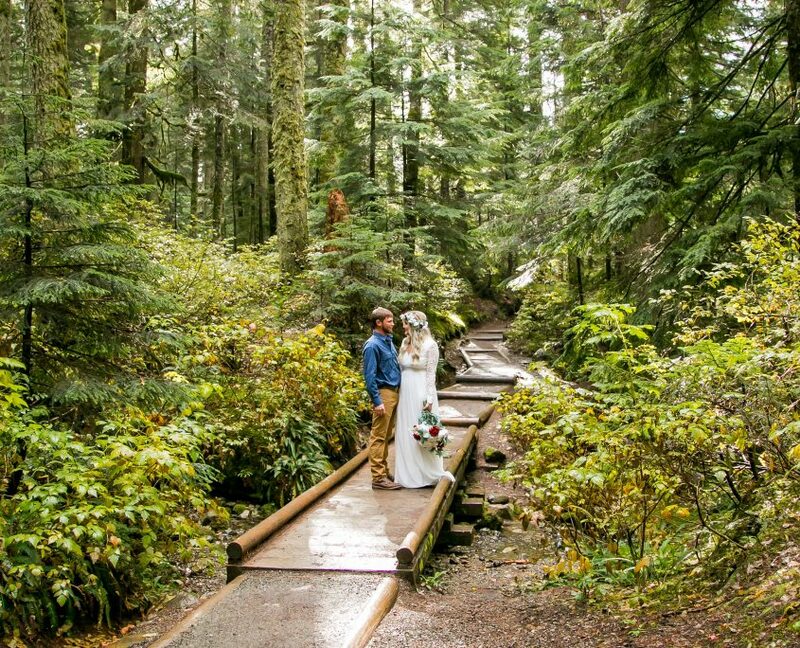 Call me today (206.406.7919) to help you get started planning your last minute wedding! 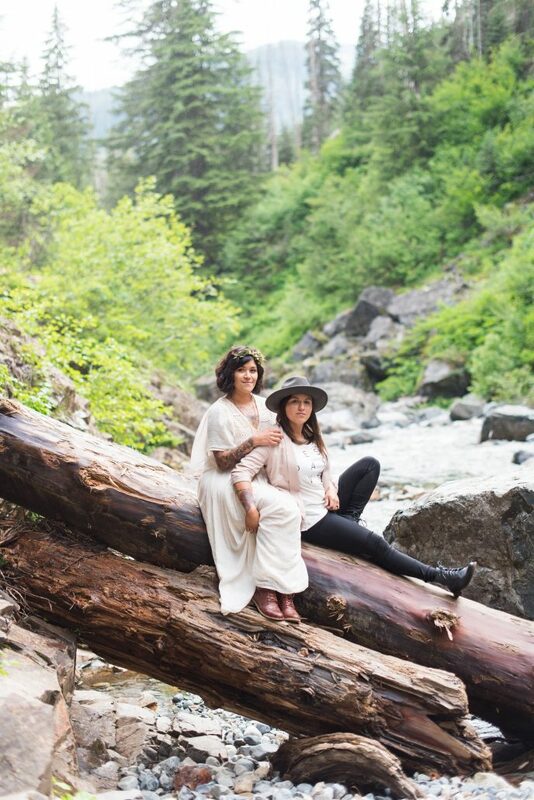 http://seattleweddingofficiants.com/wp-content/uploads/2016/04/logo2.png 0 0 MissElaine http://seattleweddingofficiants.com/wp-content/uploads/2016/04/logo2.png MissElaine2012-05-14 15:58:472017-12-16 21:09:38Last Minute Wedding? I can do it! 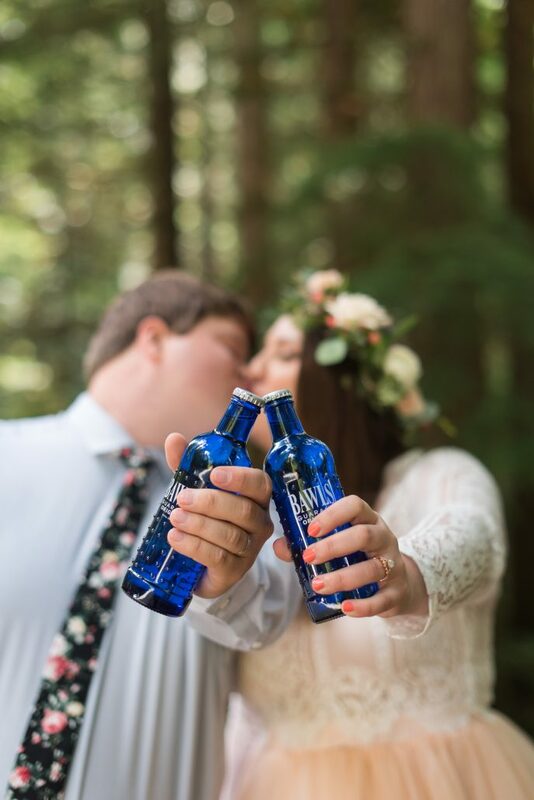 Who says weddings have to be expensive? 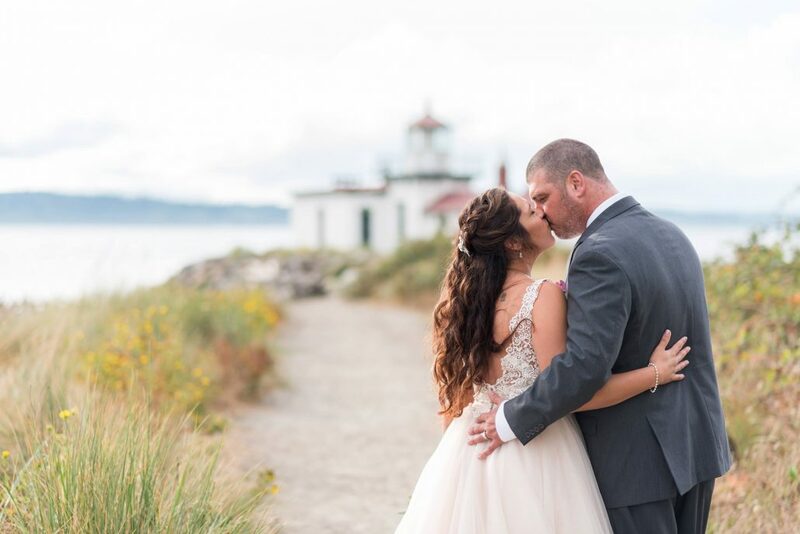 You can have a Ballard Locks wedding in a beautiful garden and view of Puget Sound without breaking the bank. 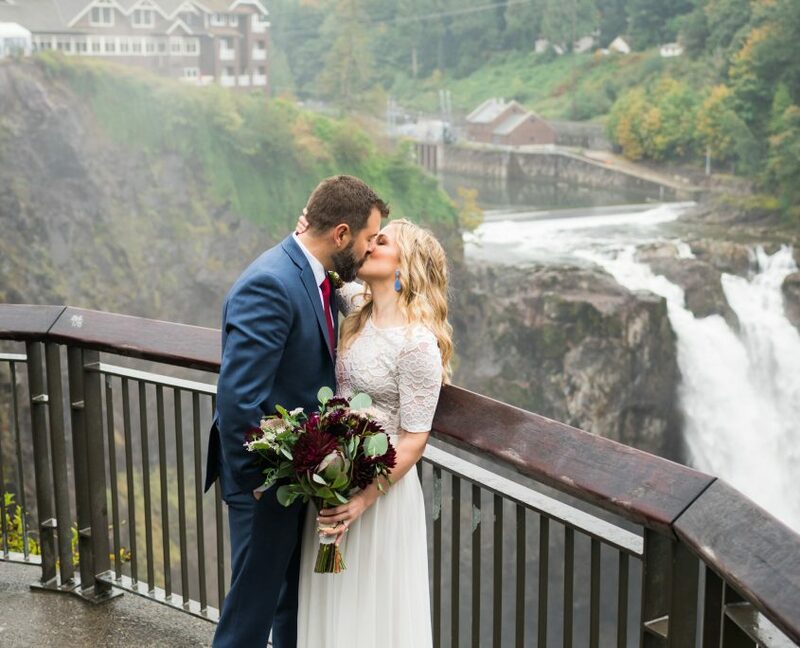 The Ballard Locks offer four different areas for your wedding ceremony and are available for you to reserve for a small donation. These beautiful botanical gardens are a tribute to the devotion of horticulturist, Carl S. English, Jr. During the 43 years working for the U.S. Army Corps of Engineers, Carl transformed the barren lawn, left after the construction of the locks, into a garden worthy of serious study. These lovely grounds are a masterpiece of horticultural splendor, combining the elegant lines and vistas of the romantic English landscape style with the original character of more than 570 species and 1,500 varieties from around the world. 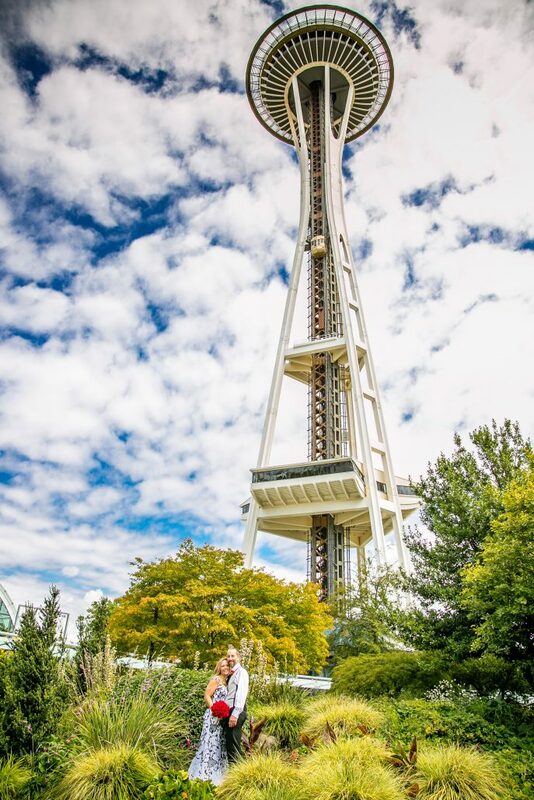 One of Seattle’s best kept secrets is yours to enjoy. The garden offers color fragrance, and open spaces to awaken your senses all year long. I have officiated dozens of weddings in the formal garden and rose garden which is reserved for groups of 10 or less (section A). The other three areas (sections B, C & D) can accommodate up to 50 guests each. 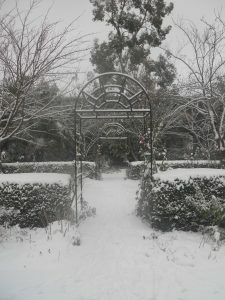 Consider this — my fee to marry you in the gardens is $295, and the space is available for a small donation. 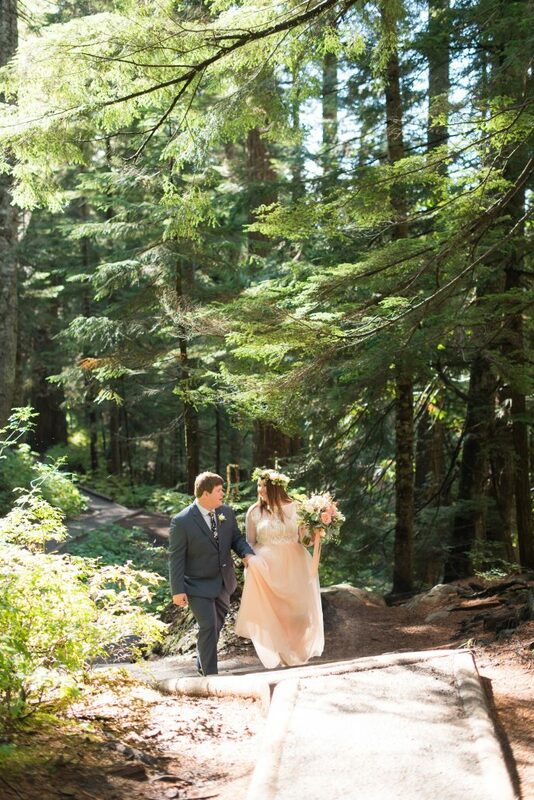 If you want to do a picnic after your ceremony you can keep it as simple as fish ‘n chips at the nearby Lockspot Cafe, or somewhere with a view of Puget Sound and a fantastic menu like Ray’s Boathouse. One note of interest: the Ballard Locks does not allow loud music or alcohol on the grounds. 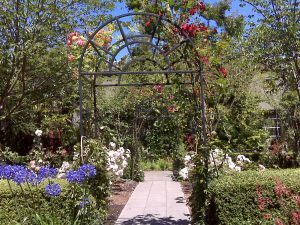 Call me to help you reserve a garden at the exciting Ballard Locks and Carl S. English Botanical Garden for your Ballard Locks wedding. 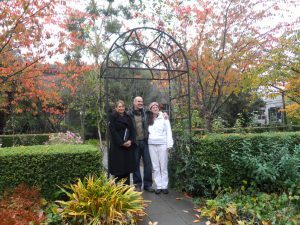 Please enjoy the following pictures of the rose garden (section A) for your Fall, Winter, Spring or Summer Ballard Locks wedding. 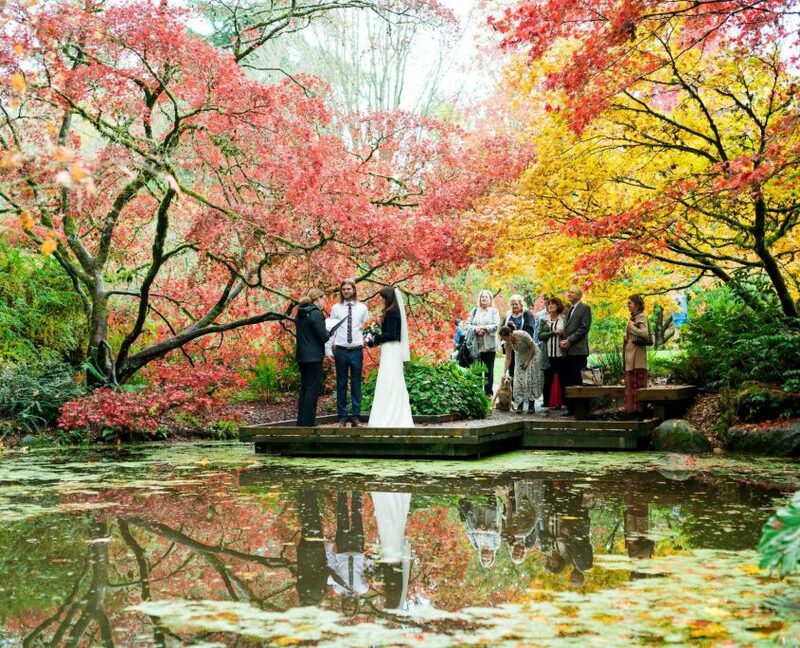 Read more about small, Elope or Last Minute Weddings.